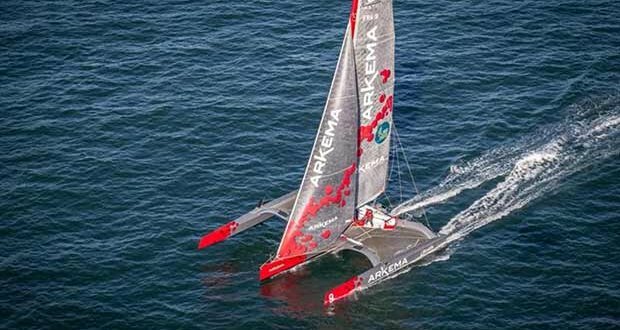 French skipper Lalou Roucayrol has capsized on his Multi50 Arkema at around 0630hrs UTC/0730 CET this morning while racing in fourth place in the Route du Rhum-Destination Gaudeloupe approximately 1000 miles east of Guadeloupe. Roucayrol is safe and well inside his boat. He made immediate contact with his shore support team to tell them of his capsize in very sudden and violent squall. A rescue plan is under way. He has access to food and water but has limited communication. He is in the tradewinds belt with 20-25 knots of easterly wind.